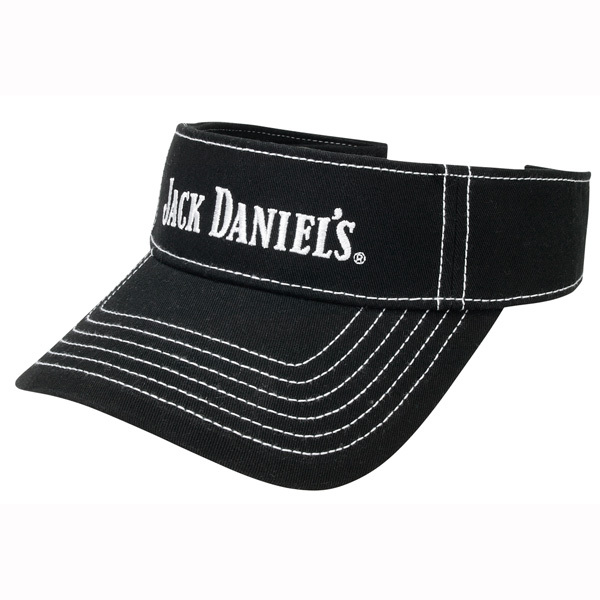 Named after a master distiller of Jack Daniel's, the Bobo Visor (JD77-96) is the perfect head topper for a game of tennis, golf, or other outdoor activity. 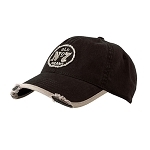 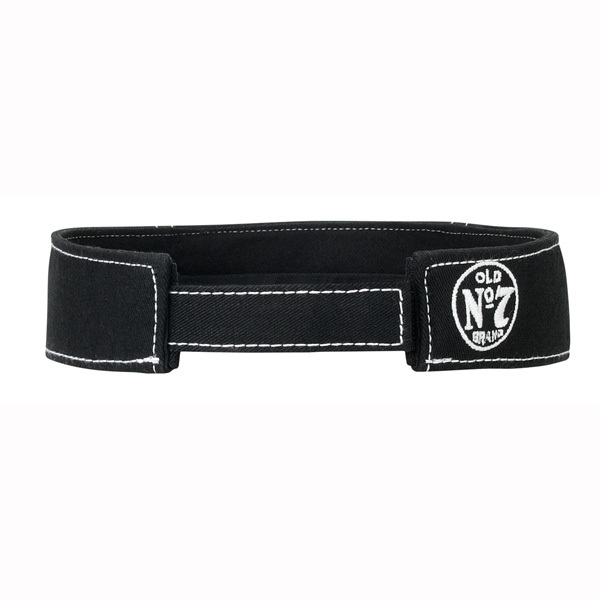 This black with white detail visor closes with a Velcro strap, next to which is the signature Old No. 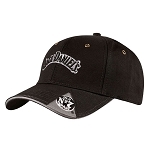 7 round logo. 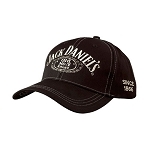 On the front reads “Jack Daniel's.” The bill and body is contrast stitched with bright white thread.